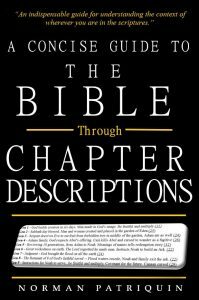 There are 31,102 verses in the Bible, and similarly to how cross-Bible chapter numbers aid in chapter theme interpretation, cross-Bible verse numbers add valuable insight into the themes for verse text. For example, in the 31,102 verses there are just ten verses that have a cross-Bible verse number beginning with #22 and ending with #00 with a single digit separating them. These verse sequence numbers are 22000, 22100, 22200, 22300, 22400, 22500, 22600, 22700, 22800 and 22900. As impossible as it sounds, the text in these verses is related in theme. (If you are wondering why I did not include number 2200? – it does fit the overall theme of the pattern, but does so in an opposite or more positive way and tends to detract from one’s first view of the pattern). How are such patterns possible? A question only God can truly answer and one that relates to everything we understand about the Numeric Map. Even though we can’t comprehend how God made this all happen we can see and test the evidence. (Its is like understanding the stars exist but not having a clue as to how they were made). In very basic terms, we know the patterns are intentional when we realize the consistency of the numbers and how they are always associated with the same themes- so much so that we cannot dismiss them to be a product of chance. 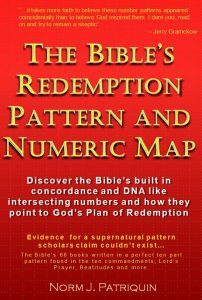 The exactness of numbers compels us to believe what our logic and knowledge says can’t happen – every number in the Bible and its Numeric Map lines up exactly with the text. It would seem that if we learned God’s algorithm, we might be able to reconstruct the text of the Bible by calculating it with numbers. Of course, that’s just my guess – I don’t believe it is possible for us to figure out how God has arranged numbers in his word, but we can observe the pattern enough to demonstrate it to ourselves. To help reveal the pattern I have provided three sets of verses that each fit their own pattern in cross-Bible verse numbering and the association of the appropriate number pattern with verse text. Like all my examples, they are not intended to prove what I contend, but rather to demonstrate the possibility that such a pattern exists. The only way for anyone to be convinced of the reality of these patterns is to see so many examples that the number/text pattern becomes at first seen, and eventually can no longer be dismissed as unimportant. God tells us “if we seek him, he will allow us to find him” (1Chr 28:9). Shown below are two lists containing a total of all ten verses that have a cross-Bible sequence number beginning with#22 and ending with #00. Note how this proposed theme runs through these verses. BV(22300) Joel 1:8 Wail like a virgin girded with sackcloth For the bridegroom of her youth. BV(22400) Amo 3:4 …Does a young lion growl from his den unless he has captured something? These ten cross-Bible pattern verses also begin and end with #22. In each of these verses you can see some relationship Jesus and the terror of the last days. Notice not only the thread of theme running through these verses, but also that the theme of these 22n22 verses fits the redemption pattern theme for #22 – Jesus The Suffering Servant who came to save the world. BV(22122) Hos 2:16 “…in that day,…you will call Me Ishi And will no longer call Me Baali. BV(22222) Hos 9:13 …But Ephraim will bring out his children for slaughter. BV(22322) Joel 2:10 Before them the earth quakes, The heavens tremble…. BV(22422) Amo 4:11 “I overthrew you…Yet you have not returned to Me…. BV(22522) Oba 1:11 “On the day that you stood aloof…You too were as one of them. BV(22622) Mic 4:1 …in the last days…the mountain of the house of the LORD Will be established…. BV(22922) Zech 3:9 … I will remove the iniquity …in one day. This example uses a number away from the theme of #22 and is intended to help show a consistency of patterns using other numbers. Below are the ten cross-Bible sequence number verses that begin and end with #30. In each of these verses you can see some relationship to holiness and righteousness. Notice not only the thread of theme running through these verses, but also that the theme of these 30n30 verses fits the redemption pattern theme for #3 and #30. BV(30230) Heb 12:17 …when he desired to inherit the blessing, he was rejected…. BV(30530) 2Pet 3:7 …the…heavens and earth are being reserved for fire. BV(30630) 1Joh 5:5 …one who overcomes…he who believes that Jesus is the Son of God? BV(30930) Rev 14:3 …the 144,000 who had been purchased from the earth. Not wanting to confuse the explanation above, I did not indicate how the digit between the ends also has meaning… When we find verses with very similar numbers then we have a basis for examining the numbers that are different. In these examples we have a series of ten verses that have like cross-Bible verse numbers with only a difference in the middle digit – what does that digit tell us? The theme of the ten part redemption pattern is always consistent with the digits one through ten having a meaning related to what appears to be God’s plan of redemption. Normally, I present these meanings as numbers 1-10 as that seems to be the best way to understand them. The pattern themes are explained on other pages of this web site but here are ten quick associations (overly simplified) to the numbers one-ten and if you examine the verses above, the numbers in the middle reflect a theme found in the text as well. Even though I’m using numbers with similar digits in these examples, virtually every number combination will produce a list of verses with a common thread of theme running through them. As there are more different digits in the numbers being examined, the thread of theme can be more difficult to see because it reflects the meaning of more numbers. Of course, I know it’s almost impossible for the average person to investigate this for themselves because the tools are not yet available. My online KJV will let you see the cross Bible sequence numbers but you will have to search them out. I’m working on other tools to aid in research as well. For now, this example is intended to show that even deeper numbers such as cross-Bible sequence numbers participate in the Bible’s Numeric Map. For those interested, the easiest numbers for anyone to study are found by simply by examining verse text as compared to the Numeric Map themes associated with their chapter and verse references. Book Number, Chapter Number, Verse Number, Cross Bible Chapter Number, Cross Bible Verse Number, Cross Book Verse Number, New Testament Book Number, New Testament Chapter Number, New Testament Verse Number and more…. So imagine number combinations to the following detail of digits and you will understand that any set of like number digits seems to simply intensify the chance of observing similar themes across the set of verse text. 66,150,176,1189,31102,2461,27,260,7957...Imagine a unique number even longer than this being associated with each verse of the Bible…number themes are complex. I suspect not only the digits are meaningful, but also the order of the digits. As an example of how like numbers can be seen influencing themes verse text, the 11,111th verse of the Bible is 1Chr 27:1. With all these ones being associated with this single verse you might expect to find the text contains a strong theme related to number one – it does. (Note: In addition to number one being about who is #1, it is also associated with being counted or counting). This 11,111th verse of the Bible may be the most intense counting/numbering related verse in all of scripture – thus demonstrating themes are associated with number digits and not necessarily like referenced verses. If you have gotten this far and still think this is all impossible and a product of a very creative mind…I understand. This is normal. When I began to notice these patterns ten years ago I rejected them over and over again. It was not until four years later I finally had to conclude they were real and could not happen by chance. The evidence is plentiful but you have to spend a lot of time looking at it. Thanks for reading.